If you ask people who run spelling bees what the toughest job is, most will probably say the pronouncer. That might seem counterintuitive. After all, those kids have to get up there—on television in our case—and think on their feet with lots of competitive pressure and the anxious eyes of their families, schools, and communities on them. But they go up one at a time. In contrast, the pronouncer’s job is a long marathon and has certain key requirements. I will list these in order of importance in case you didn’t know. I’m really talking about the job of a regional pronouncer. 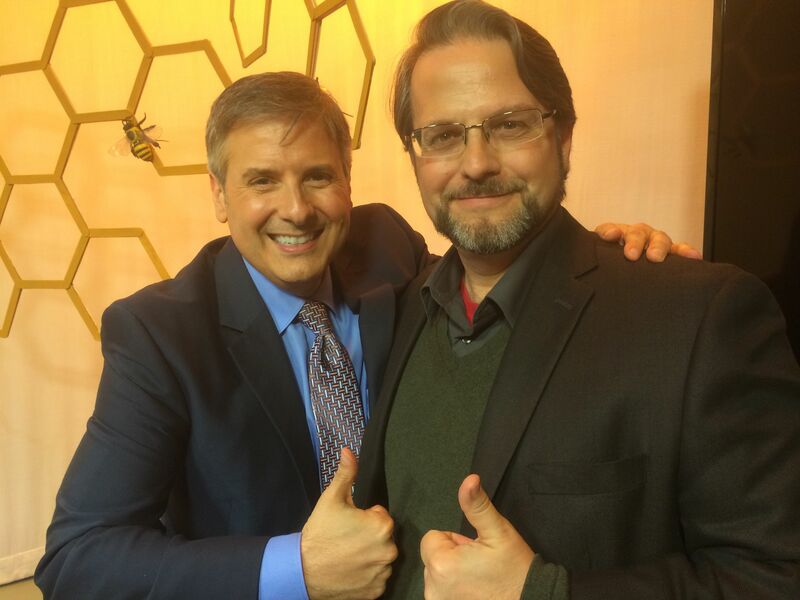 Our bee is the second largest in the nation, and is broadcast live on KUHT, hosted by a bona fide television personality—Ernie Manouse. There is an intense subculture of spelling in the greater Houston area, as serious as football or little league. The champions of spelling bees tend to become kid celebrities at least for a time, darlings of the chattering classes. Why journalists love champion spellers isn’t hard to explain; they are in the word business after all, and the unique devotion to words on the part of bee contestants is reassuring for us word nerds. So here, in order of importance, are the requirements for being a spelling bee pronouncer. You have to love working with kids. This is no job for the weekend pedant. You are midwife to the contestant’s success, so you have to realize that from the start. If your thing is inflicting pain on children, then just become a pediatrician or a dentist. You have to be able to sit in a chair for over four hours without a bathroom break. A lot of people don’t realize this part of the job. It’s the hardest in many ways. So if you’re organizing a bee and looking for a pronouncer, remember: the bladder matters. You need the patience of a Job as the bee wears on, since the contestants will start to use every possible stalling tactic to negotiate the really tough words. You will be asked to repeat the word again. And again. And again. And again. Alternate pronunciations will be shopped repeatedly. That word’s origins will be aired a half dozen times; its pedigree will be better known than the President’s. And the ridiculous model sentence will resound like a church litany over five minutes of intense competitive agony. No hint of impatience can enter into your voice as you reread the definition for the tenth time—you can’t appear to be pressuring them. Although the spellers are elementary to middle-school aged, it really helps to have extensive experience with toddlers. So again, a relevant interview question if you’re looking for a pronouncer would be: Have you ever taken a twelve-hour car trip with a three year old? A few years ago, I was asked to be a pronouncer on KUHT’s regional bee after serving as a talking head for the commentary with Ernie. I was able to watch my predecessor closely at work my first time in the studio, which was a help because I noticed right away the number one problem the pronouncer faces: fatigue. The arc of your energy and the arc of your importance move in opposite directions. Just when you are really getting tired, every single thing you do begins to matter more and more as the last five, four, three, two, one kids are vying for a trophy as tall as they are. Their parents are watching you like hawks; any slight error on your part will be fodder for appeal, so they can reinstate their child and protect the many hours of coaching they have invested in this contest. And these few highly competitive spellers that remain are going to wear you down. There is no rule about time in a bee, even when on the air. You are their only tool, their only hope. If they can just get something from you they can use, they stand a chance of survival, even victory—a chance at the big time Scripps National Bee! So they are holding on for dear life, and will squeeze you like a lemon if they have to. And who can blame them? It’s harder in many ways to lose at the end, after all. You can just begin to taste the victory—and your luck, because luck has a lot to do with it! If you’re lucky, you’ll get one of those words you’ve never heard, but whose spelling you can guess at. Take coracle, which rhymes with oracle (just remember it’s not like conical). You don’t have to know Welsh to guess at the spelling, especially since we don’t spell it in the Welsh way: cwrwgl. But then there are nightmare words whose spelling is a tremendous mystery: roentgen, dhauri, oberek. If you draw one of those, you might as well paddle off in your coracle. A word doesn’t have to be long and technical to do you in; it just has to have one trick, one picky little thing that is completely inexplicable. In a way, a word like weir is worse than a fancy word like basophilic (easy once you know there’s a Greek bit in there) or sympatric (same there). So where do these infernal words come from? How could anyone be expected to know them? Is it cruel of us to use them? Here’s where I say in response: welcome to the English language. Spelling bees wouldn’t really be very sporting in more sensible languages where one spells in a manner that reflects spoken reality. Take Spanish for example. The only thrill one could get from a Spanish spelling bee might be whether a kid could land the silent h in hombre or (if you’re not in Spain at least) distinguish between casa and caza. But our massive, rolling wreck of a language has resisted both modernization in its spelling and abstaining from impulse to pilfer whatever it wants from the many other languages it has come into contact with. This means a kid has to master rules of spelling for a dozen languages, not just those supposed rules of English orthography, which themselves are based on Middle English, not Modern. So, for example, she must learn her Italian spelling to know that spaghetti is spelled with an h because this makes the g sound hard; otherwise, it would be pronounced spajetti. Italian is sensitive to doubled consonants, so she’ll learn folletto though we’ll pronounce it fuh-LED-oh, butchering the vowels and ignoring those extra l’s and t’s. If she looks up consigliere, she’ll see the first pronunciation ignores the g as do the Italians (gli is a sound precisely like our li in million), but she can be forgiven her preference for the second pronunciation, which throws in the g with gusto, making it unforgettable (though unforgivable to an Italian—saying consigleeairy may get you whacked). If she really does her homework, she’ll see the Italians write our sh as sci, as in prosciutto and sciolto. She must also know that scientific words are horrid Greco-Latin hybrids; so sophistication has a ph for an f sound because its first element is Greek, even though the –ication bit comes from Latin (though its pronunciation in English is filtered through French). But in obfuscation there is no ph because the word is entirely Latin. A sensible language like Spanish has the beauty of consistency: sophistication is sofisticación, and spaghetti is espagueti (the u doing in Spanish what the h does in Italian), which reflects the real pronunciation of the word, since the Spanish tongue has difficulty loading up an sp without the springboard of an e to run down. One feels so much more honest writing in a language like Spanish, which is less beset with little orthographic traps. You can learn the Spanish system of spelling in a leisurely hour. In English, you’ll grow old still trying to figure out why led and lead sound the same, but bed and bead or red and read do not—and let’s not talk about read and read (i.e., the present and past tenses of the verb). We don’t bother to explain these things to college students any more than we would the tax code. They’re just facts of adult life. For reasons no one can explain, we have resisted updating the way we spell our language for centuries. We fought an entire revolution to free ourselves of the British Empire, yet the only daring we proved capable of on the linguistic front lies in the meek removal of u in honour (what does it say of our founding fathers that there is now no u in honor?). Wouldn’t it have been far more useful to dump the silent consonants in night, knight, or right, or respell words whose consonants are pronounced, but in irregular ways, like rough or tough—which, from the model of through and thorough look as if they should be homonyms of rue and tow? Our famous American pragmatism and practicality clearly do not extend to matters of language. Linguistically, we’re still stuck in Downton Abbey, forcing a nation of peasants to spell like Lord Grantham. In the meantime, we and the British have joined forces in stuffing the sack of our common language like cat burglars with items from around the globe. On our side of the pond, we needed a word for caribou, which the Mi’kmaq tribe gave us; but lest we should be too sensible and call it a cariboo, we have decided to spell it as a Frenchman would. Hickory, hominy, and husky seem reasonable enough in their entry into English letters, as do pemmican, pecan, and persimmon. But head for Indian words south of the Rio Grande, and you’ll get Nahuatl and axolotl—thanks alotl! French orthography has made its mark on the Indian words from Northern states (as in Michigan and Chicago, which some benighted Brits have been known to pronounce as Mitchigan and Tchicago); and Louisiana has given us bayou (pronounced bye-yo by real Texans), roux (which resembles the bayou) and étoufée. But one has to revert to Spanish spelling rules for some basics in our neck of the Southwest: tamale, peyote, coyote—though as we know, they really rhyme with Tom Molly, pay oaty, and chi oaty. Let’s not even talk about Nacogdoches, a place to which a g seems to have run in hiding. Good thing proper names are not on the spelling bee list! From their side of the Atlantic, the British have shopped for new words like consumers on Black Friday with money to burn. Now, if your Dutch is good, you’ll manage the joys of Afrikaans, with its aardvark, kraal, and laager; apparently in the rich soil of South Africa, the letter a grows in great abundance. There’s something called a boomslang, too, and a duiker and a meerkat; let’s not forget the healthy sounding hartebeest. If you blank out on Netherlandish orthography, don’t worry: your spellchecker knows these words (not one of them was queried by the WordPress spellchecker I used to write this, though it underlines Nacogdoches with alarm). We are trying to forget apartheid, and we’ll let the British remember their war with the Boers, which for us is only interesting in relation to the origin of Boy Scouting. In India, the Brits pulled some good ones: avatar, bandanna, bungalow, cummerbund, dinghy, jodhpurs, jungle, khaki, mantra, nirvana, punch, pundit, shawl, shampoo, thug, typhoon, verandah and yoga. In their way, though, most of the words we have shoveled into English make more sense in their transliteration or wholesale adoption in native dress than English words whose spelling has simply expired. Tycoon and raccoon are much more reasonable than night or through (which long ago sported throaty guttural sounds just like their German cousins, Nacht and durch). The French, who are all about tradition, still are honest enough to spell debt as dette, dispensing with the pedantry of the “etymological” spelling psychosis, which breaks with reality just long enough to insert a b where there has not been one for centuries. This is only to remind you that it comes from the Latin debitum— which is utterly ridiculum. Now, imagine trying to figure this out at the age of 9. To compete in our bee, you need this kind of knowledge, even though these words are of little use to a nine-year old. It’s a bit like learning to fly a helicopter in order just to take a written test in the third grade. My heart goes out to them. The effort required is extraordinary, which speaks again to their determination and passion for words. We adults know that passion is all about irrational devotion. In that regard, English is a cruel but very, very, very rich master. Which may explain the fifty shades of orthography it demands of us.